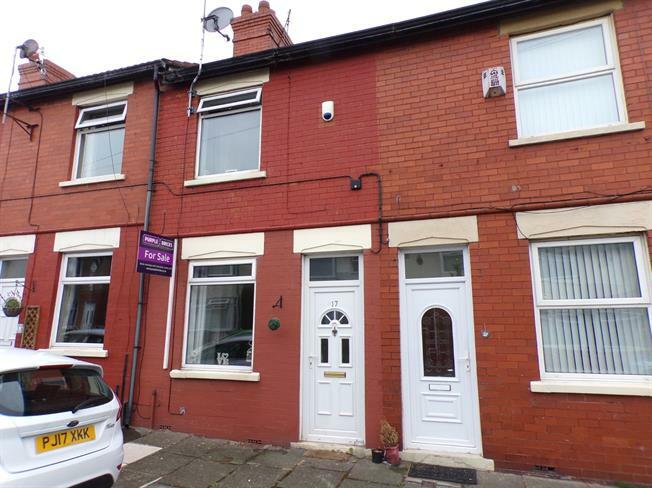 2 Bedroom Terraced House For Sale in Liverpool for Offers Over £90,000. Entwistle Green are delighted to offer for sale this well-presented two bedroom terrace property, which is in a fantastic location. Ideal for first time buyers, the home is centrally heated and double glazed throughout and benefits from a rear yard. The property briefly comprises of a lounge, kitchen, two bedrooms and a bathroom. Call early to avoid disappointment! Double glazed uPVC window facing the front. Radiator and gas fire, laminate flooring, under stair storage. Double glazed uPVC window facing the side overlooking the yard. Tiled flooring, boiler. Fitted units, inset sink, gas hob. Double glazed uPVC window with frosted glass facing the side overlooking the yard. Built-in WC, panelled bath, pedestal sink. Carpeted, stairs leading to ground floor. Access to bedrooms.